Having knowledgable and aware assistants in class can be a game-changer when it comes to providing a cohesive and supportive learning atmosphere for your students/clients. The online Rhythm Works Integrative Dance Assistant Certification Course provides the tools necessary to get your entire team on the same page. No prior knowledge of dance, sensory integration, behavioral strategies, or movement safety is required. The RWID Assistant Certification course is appropriate for ages 14 and up. Special exceptions are made on a case-by-case basis. Throughout the online course, attendees will be engaged in research-based lectures, movement activities, and multiple choice quizzes. Upon the completion of the course, passing score on the exam, and submission of a Proof of Hours package, attendees will be certified Rhythm Works Integrative Dance Assistants and will be able to demonstrate knowledge of appropriate assisting techniques with the clinical, technical, and social applications of RWID. 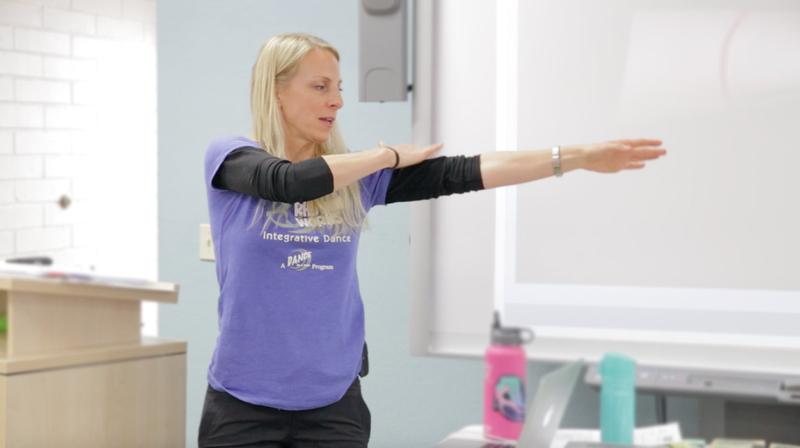 Assist in identifying common presentations of sensory integration challenges and possible best practices to get the student into an optimal learning state. Assist in modifying content based on the abilities of each student. Identify common challenges that accompany specific diagnosis such as Down syndrome, Autism, and Cerebral Palsy and assist in making modifications to accommodate these challenges. 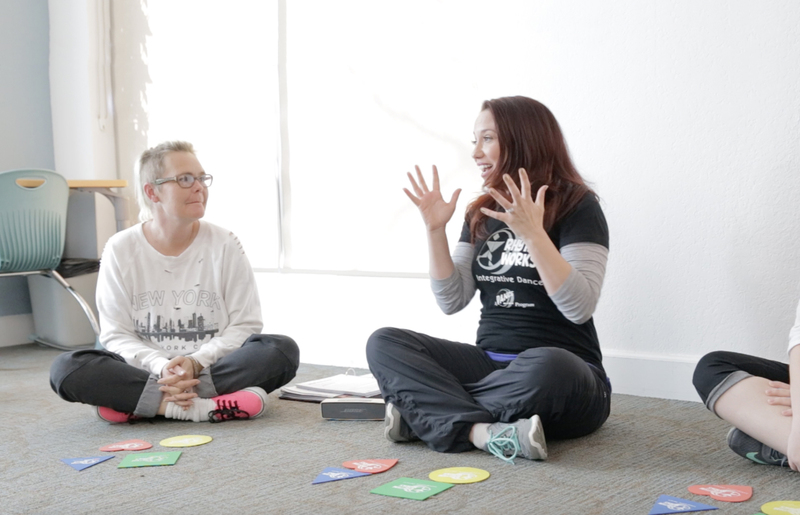 Assist teacher or therapist in demonstrating proper movement safety and body alignment. Identify the antecedent, behavior, & consequence of actions demonstrated by each student, and effectively encourage desired adaptive responses. Assist with visual, auditory, and somatosensory aids during the learning process. Passing score of 70% and Proof of Hours submission package are required for certification.